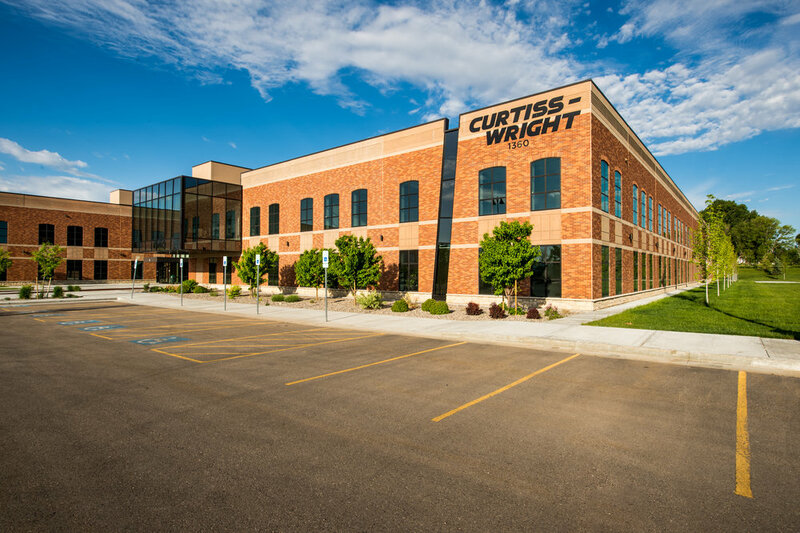 This 112,000 square foot project includes office, lab, R&D, testing and specialty support spaces for Curtiss Wright Corporation’s Nuclear Power Division. The project is located in Idaho Falls to near the Idaho National Lab. The project houses office space and facilities that address software development for improving plant performance and to address issues related to equipment obsolescence in existing nuclear power facilities. The project consists of two 2-story buildings that are connected by a shared lobby space. Each building footprint is approximately the size of a football field. One building houses the Plant Performance Division and the other houses the Instruments & Controls Division. Plant Performance supplies complete turnkey plant monitoring and plant processing computer systems. Instruments and Controls includes an in-house manufacturing and assembly area including a complete test lab with certified test equipment performing production testing, limited qualification testing, and repair & refurbishment work. The buildings are located in the development of Snake River landing. The architectural design draws upon the aesthetic of buildings in the historic downtown while at the same time expressing the high-tech nature of the Curtiss Wright work. The buildings are constructed of tilt-up concrete wall panels. The panels are designed to be very energy efficient, employing integral insulation. Each panel is designed with a combination of thin brick, formliners, reveals, and textures. Each panel weighs as much as 135,000 pounds. These wall panels are punctuated with high performance glazing systems and cantilevered conference rooms. 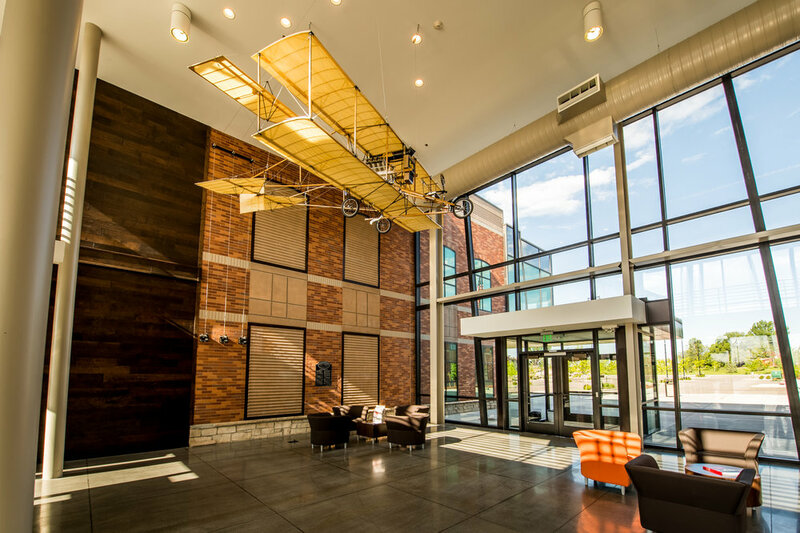 A scale model of a Curtiss Flyer hangs in the two-story glass reception.